Recent sponsorship studies show that brands will spend over $147B on sponsorship and activation in 2018, but only 35% of them invest in tracking the effectiveness of that spend. Predicting the ROI of an investment is essential for any brand sponsor, as it helps them justify and understand their sponsorship spend, optimize that spend and measure their sponsorship effectiveness. 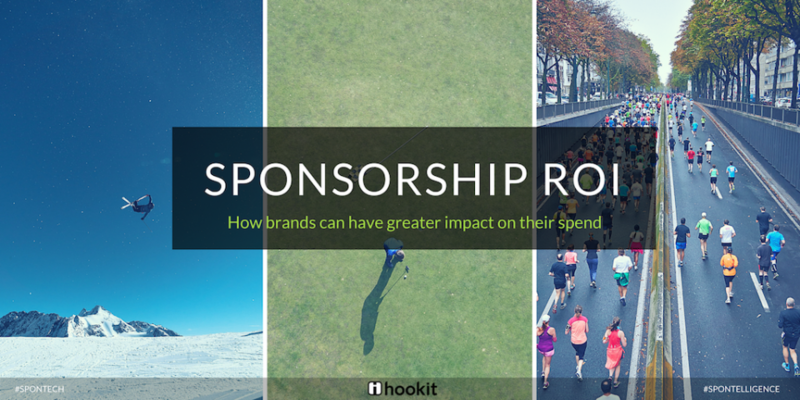 With the large amounts of measurable data available and the advanced technological capabilities needed to effectively analyze this data provided by spontech companies like Hookit, it is now easier than ever for brands to measure their sponsorship ROI and ROO. On the panel hosted by Hookit at Hashtag Sports 2018, representatives from brands and sports properties shared their thoughts about the TECHNOLOGY,TOOLS & TECHNIQUES they use to predict their ROI and improve sponsorship spending. TaylorMade: One of the top golf club manufacturers in the country, TaylorMade has one of the best athlete portfolios in golf and sponsors 5 of the top 10 golfers in the world. It chooses athletes who understand and align with the brand, drive more social engagement and ultimately create more brand awareness. Other important criteria that TaylorMade looks for are product validation and customer retention. NYRR: NYRR are the global champions of the running movement, impacting the lives of more than 600,000 people every year. When seeking partners, NYRR look for partners who can improve the runner experience, support with activation (i.e.,marketing, content, run center, programming) and build relationships with the NYRR audience. X-Games: The highly popular extreme sports event, the X-Games are the leading action sports competition featuring the top action sports athletes in the world. With a socially native audience both from a participation and consumer standpoint, the X-Games provide their partners with an opportunity to connect to a global youth audience through sports, music and the associated culture. The X-Games also provides a strong opportunity for brands that are looking to connect with consumers across multiple distribution platforms. TaylorMade: Brand exposure and product validation are two core areas that TaylorMade looks for in its partners. To measure these, some of the KPIs it looks for are social engagement, audience development, earned media value, and growth in TaylorMade’s online community. NYRR: Though brand recall is important for NYRR, the way it values sponsorships is shifting from a traditional “media property valuation” towards an “impact report” model, thereby addressing their partners’ key goals of sponsorship. There has been a marked shift in measurement by NYRR, moving its focus towards a more measurable engagement metric compared to just impressions. X-Games: X-Games currently measures post event, with primary focus on total views and overall engagement with the content. It also tries to identify the assets that are driving engagement for the X-Games and which individuals/entities that are talking about the brand are also driving impact. Understanding this information helps the X-Games adjust their content creation and distribution strategies accordingly. TaylorMade: In the fast moving world of sports and social media, SPEED is important. Advanced technology and data processing capabilities by platforms like Hookit have helped TaylorMade automate their social media reports, results and insights. Hookit’s real time/live dashboards allow TaylorMade to be nimble and react to events on social media promptly and efficiently. Taylor made also uses Hookit to evaluate all major campaigns as well as its athletes and competitors. NYRR: For NYRR, technology has fueled deeper partnership opportunities and changed the nature of partnership from transactional to interactive. For example, NYRR ran a Facebook Live and interactive show for the United Airlines NYC Half Kick Off 2018. This campaign was then measured for branding and other KPIs which helped NYRR understand the impact of the campaign. The insights generated will be used towards future collaborative campaigns between NYRR & United Airlines or with other partners. X-Games: The X-Games brand has always had an aggressive social strategy to continue to engage a global youth and tech savvy audience. The X-Games were one of the early adopters of live video, 360 video, VR, social TV integrations, streaming and telling a cross platform story, which were all fueled by the latest technology available. NYRR: The NYC marathon, one of the most prestigious and selective marathons in the world, selects its participating runners through a random drawing of names. For the 2018 NYC Marathon, when NYRR sent emails to the selected runners announcing their entry into the marathon, it gained widespread attention and runners who were selected to participate shared this through their social channels. NYRR adapted and leveraged this consumer behavior, and used real time insights from Hookit to improve their engagement and branding. X-Games: At X-Games Aspen 2018, the X-Games shifted from measuring interactions exclusively from their platforms to more of an aggregation model, where the overall interactions of every entity in the event were measured. X-Games used Hookit to understand what worked and how to better position their content to drive value for their participants and partners. It was a highly successful strategy and during the event period, there were nearly 12,000 X-Games related social media posts, generating 53.8M total interactions and nearly one of every four interactions was driven by an athlete’s social media content. TaylorMade: Content that has been athlete led, casual and raw, and diverge from resembling an infomercial has been the most successful for TaylorMade. One great example is the #5cramble series of videos featuring their top golfers — Dustin Johnson, Rory McIlroy, Jason Day, Justin Rose & Jon Rahm, who talk about why they like TaylorMade and how they use it. These videos are casual and athlete led and explain TaylorMade products without being too much like an infomercial. NYRR: NYRR have found success with content that manages to be authentic, inspiring and related to running or the race it’s connected to.The Achilles Hope & Possibility (4M) is one such inspiring race in which athletes with disabilities compete along with other able-bodied runners. In the 2018 Achilles Hope & Possibility 4 Miler, the inspiring finish of athlete Adam Keys, a member of Achilles International’s Freedom Team, a program for wounded veterans created great social media engagement for NYRR, their partners and their cause. X-Games: Video and behind the scenes access has been the most successful type of content for the X-Games. They also create an environment on-site for everyone attending to create content (athletes, talent, fans, staff) to share on their social channels, while X-Games clip/tag and share content on their social channels in real-time to drive social conversation around the event. 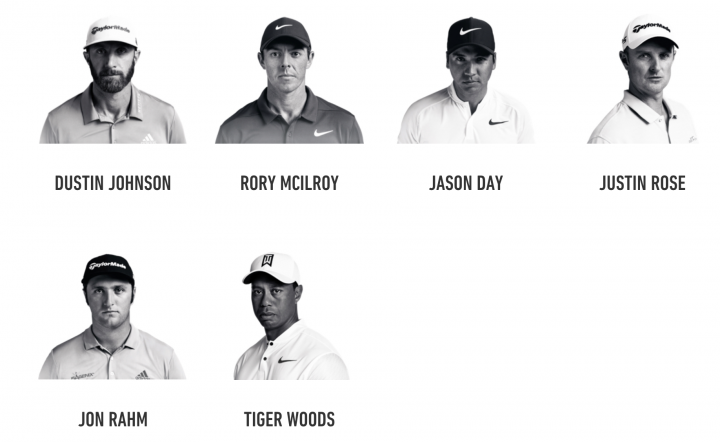 TaylorMade: Currently sees a trend of content collaborations with non-competing brands in and out of the golf space, which helps cut through the clutter and promote visibility for all brands involved. NYRR: NYRR sees a shift in trend towards content creation. Brands also look for partnerships that allow for multi-touch, year-round engagement vs a one-off campaign at one race. X-Games: “Organic placement” rather than blatant advertising, and custom campaigns that run across all platforms — TV, digital, social and on-site — are some trends seen by the X-Games. The pioneers of spontech, Hookit helps brands track all of their sponsorship spend fully in one platform and provides a single source for reporting, optimizing, and proving ROI for their sponsorship portfolio. Don’t forget to download the handy guide which details the BEST PRACTICES that will help drive the highest value and sponsorship ROI for your brand partners!